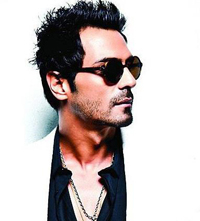 Arjun Rampal Tweets the Truth! While Arjun Rampal is busy with the promotions of his upcoming film Inkaar, the rumor mills seem to be working overtime, spreading baseless stories about him. The article referred to in his tweet was a case of yet another over-enthusiastic journalism claiming that Arjun has taken sides in the alleged Bollywood ‘camps’. Being known to always have a neutral stance, Arjun stated that, “All the rumors are just plain silly. I don’t believe in camps.” He prides himself on having good relations with all his co-stars, and firmly believes in working on the basis of the quality of work and nothing else. With such straight forward attitude towards work, Arjun Rampal surely put an end to all such journalism gimmicks!! 17 queries in 0.824 seconds.